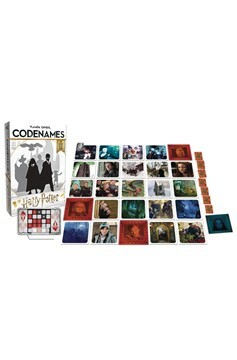 A fast-paced Harry Potter-themed word and picture association game perfect for families and friends! Locate secret Agents who are concealed in a grid of Harry Potter references. Use one-word clues to guide guessers to their victory, all while avoiding hidden Death Eaters! 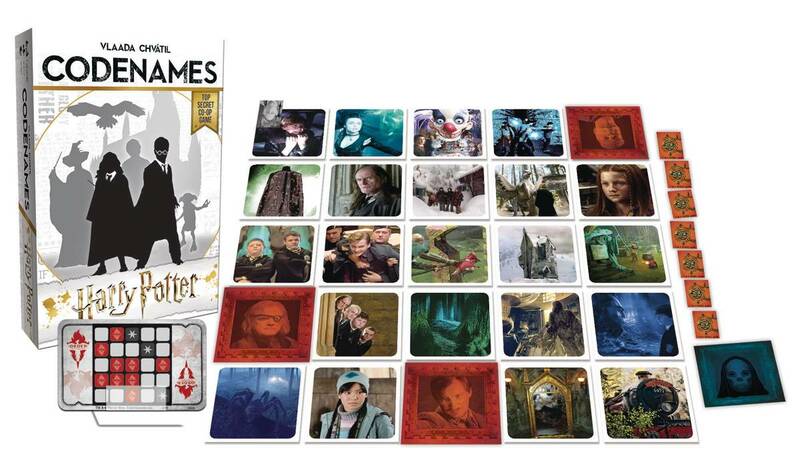 Includes 200 code cards, 100 double-sided key cards, 16 'Order of the Phoenix' cards, 1 Death Eater cover card, 11 Time-Turner tokens, 1 pad of Mission Logs, 1 card stand, and instructions..